There’s real trouble brewing in the 2018 election right here in Oregon. “Dark-money” groups are pouring millions of dollars into ad campaigns that paint public employees and care providers in a bad light. We need to push back with the truth. Here’s the info you need to dispute the false narratives being portrayed in the media. Their ads have used outliers to paint public employees as overpaid and attack PERS. Their characterization simply isn’t true. 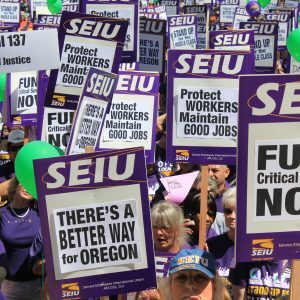 Oregon’s public employee compensation package – which includes PERS – is roughly equal to similar private sector jobs. Their ads have politicized the issue of elder abuse. Abuse is a very real concern. But by saying “seniors are being abused” in a political attack ad, Priority Oregon could make it harder for us to pass bipartisan legislation that improves care standards for seniors and people with disabilities. They are obscuring Knute Buehler’s poor record on affordable housing. The truth: Knute Buehler voted against the affordable housing bill in the state legislature, which would have ended no-cause evictions and kept families in stable housing. The child welfare crisis is real. 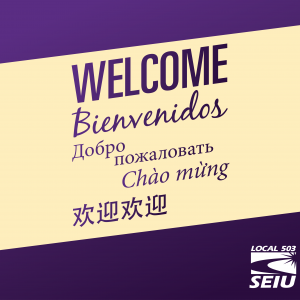 SEIU members at DHS have been working with leaders in Oregon to address the problem for years. 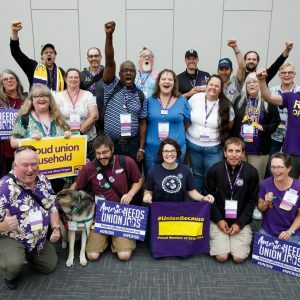 In June, two SEIU members wrote in the Statesman Journal about their fear that foster kids would be used as political props by Buehler’s campaign. Their fears came true this summer when Buehler’s former communications director helped launch Oregon Foster Families First, a campaign that claims to be about foster kids, but is really just a political attack on Governor Kate Brown. Here’s a great run down of why Foster Families First is a problem, written by a foster parent. The best recourse we have is to educate our friends, families, and coworkers. It’s important that people understand these ad campaigns are nothing more than political attacks.